AtoZMapsOnline.com is the world’s largest subscription-based database of proprietary, royalty-free world, continent, country, and state maps. Included in the 4,000+ maps are: political maps, physical maps, outline maps, population maps, precipitation maps, climate maps, and other thematic maps. New maps are added to the collection every month. 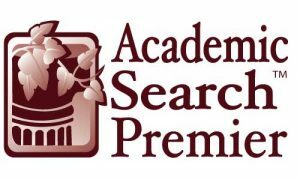 Academic Search Premier was designed for the premier researcher, rich with the most valuable, comprehensive multidisciplinary content available. As a leading scholarly database, it encompasses the expansive academic disciplines now being offered in colleges and universities. Users accessing this resource will be provided with comprehensive content right at their fingertips, including PDF backfiles to 1975 or further for well over one hundred journals, and searchable cited references for more than 1,050 titles. A powerful search and discovery engine. Ideal for research assignments or general curiosity. A Collection of more than 300 online reference books covering a wide range of subjects such as art, business, health, history, science, religion, and more. MasterFile provides full text for thousands of general reference magazines, reference books, and primary source documents. This database also provides an Image Collection containing photos, maps & flags, and covers a wide-range of subject areas including business, health, education, general science, multicultural issues and much more. contains primary source documents including Essential Documents in American History, reference books such as the Funk & Wagnall’s New World Encyclopedia; New Oxford American Dictionary, 2nd Edition; Encyclopedia of Animals; and thousands of relevant photos, maps and flags. This database contains full text for a variety of popular middle school magazines. All full-text articles are assigned a reading level indicator (Lexiles). Full text is also available for thousands of biographies and historical essays. Containing full-text for more than 80 of the most popular elementary school magazines, Primary Search is designed specifically for elementary school children. This resource provides students and researchers access to authoritative, essential statistics on hundreds of topics in a searchable online format. The World Almanac puts the reference shelf staple at users’ fingertips, with thousands of expertly organized facts. 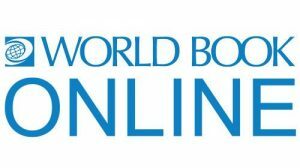 The WORLD BOOK ENCYCLOPEDIA reference on the Web. For more than 75 years, World News Digest has been a go-to resource for context and background on key issues and events in the news.